I've mentioned earlier that Laxmikant Pyarelal scores from the early 70s (well, any era really) could go either way. A lot of them leave me cold, but here's one I like a lot. 'Man Mandir' has a full pot of good songs on offer, to pick and choose. Favourites? The lovely 'Ae Meri Ankhon Ke Pahle Sapne' (either version) and the the quirky 'Kahiye Ji Kya Loge'. But don't sleep on the rest; it's a soundtrack every bit as charming and colourful as its cover - all of it. Thanx a lot PC for this one.. very underrated score coming from the legends! Sometimes it amuses me.. how can people even think of forgetting such wonderful scores! Keep up the good work of discovering gems from the vast history of Hindi Cinema Music. God Bless U! Ahaaaaa....... that's all I can think of at the moment. Thanks for this. Looking forward to checking it out. Also, per PC's blessings, I have an inquiry about a cassette with no label pointing me to an artist/soundtrack. I love the sound, but would rather have it on LP, as it sounds a bit smashed on the cassette. Any help/info would be greatly appreciated. Its Asha Bhosle from Dev Anand's Lootmaar. Music scored by Rajesh Roshan. The song is Jab Chaaye sung by Asha Bhonsle from the movie "Lootmaar". 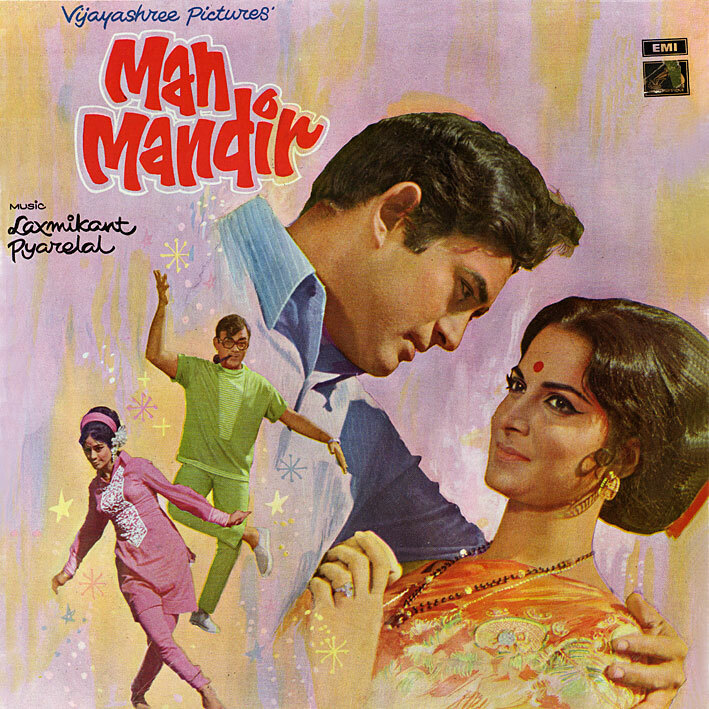 A 1980 release with music by Rajesh Roshan. I like it. Wish I had it. PC, I can upload the audio version tomorrow. Least I can do to repay you for all the wonderful goodies you keep sharing with us. Post updated with video link to 'Kahiye Ji Kya Loge', c/o Mr. Naidu.